UPDATE 7/15/13: Tickets for Mickey’s Halloween Party are now on sale here! UPDATE 7/8/13: Tickets for Mickey’s Halloween Party are now on sale to Disneyland Resort Annual Passholders here. Friday the 13th seems like the perfect day to kick off the spookiest time of year here at the Disneyland Resort, doesn’t it? From Friday, September 13 through October 31, the Happiest Place on Earth will get spookier again with the return of Halloween Time. 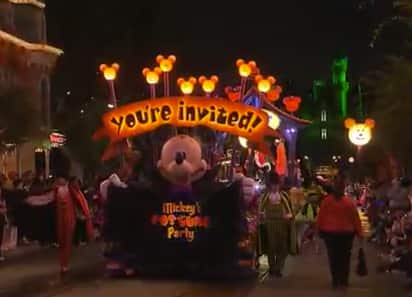 And this year, Mickey’s Halloween Party will expand to a spooky total of 13 nights at Disneyland park! Halloween Time features Disney villains, Mickey Mouse and his friends in Halloween costumes, a Día de los Muertos celebration and the special after-hours Mickey’s Halloween Party, plus – my favorites – Haunted Mansion Holiday and Space Mountain Ghost Galaxy. Mickey’s Halloween Party 2013 dates: Friday, September 27; Tuesday, October 1; Friday, October 4; Tuesday, October 8; Friday, October 11; Tuesday, October 15; Friday, October 18; Monday, October 21; Wednesday, October 23; Friday, October 25; Monday, October 28; Wednesday, October 30; and Thursday, October 31. And while you’re at Mickey’s Halloween Party, check out the new “Monsters U Dance Party” at Tomorrowland Terrace. Class time is over, and the students of “Monsters University” join Mickey’s Halloween Party guests in a family-friendly frat party with Monster U’s most popular students, Mike & Sulley! Take a look at some of the fun waiting for you during Halloween Time! We’ll have more updates on Halloween Time at Disneyland Resort here on the Disney Parks Blog, and you can get even more information at Disneyland.com/Halloween. And join the conversation on Twitter with the hashtag #HalloweenTime. I’m buying my tickets this week 😀 but my costume is almost finished. I can’t wait to party. Do adults have to dress up for the party? I’m disabled. We’re bringing our older daughter to help with our twins & it’s just more of an expense for all of us to dress up. Does anyone know if the lines move more quickly during the party? I will be going on Oct 11th. I thought I heard that they limit the amount of people who can attend this event, is that true? We want to come in October but the only dates we can manage with our work schedules are not party dates, otherwise we would buy the tickets to the party also to be sure not to miss anything. But we can’t even be there on party days, let alone go to the party! I just want to be sure it’s worth another trip (we just came back from Disneyland this week, otherwise any trip is always worth it!). Will we be able to experience Ghost Galaxy on these non-party days? What about fireworks? The party ones look really neat. Are there any fireworks on non-party days? Are the Disney villains and Mickey Mouse and his friends in Halloween costume out and about, or only after hours? I know we will not be there for the Trick or Treating, but that’s okay. I assume that also there will be no parade on non party days, is that right? @GABRIELLE: Your Halloween Party ticket gives you access to Disneyland Park at the time of the party access (3 or 4pm) until the park closes. People with regular tickets will be asked to leave the park at 7pm. Do we need to purchase separate tickets for Disneyland AND the Halloween Party or is the price for the Halloween party admission to Disneyland? Is it official that Disneyland will be open until 1:00 a.m. on Friday the 13th (September)? Is a special ticket required or is it included with normal admission? We will be in town just that day and thought we may go to Disneyland if it’s open that late. SHARNEY: If you’re only gonna be at Disneyland that one day you better get the whole day ticket. That way you might be at California Adventure in the morning, and Disneyland by the time of the access. 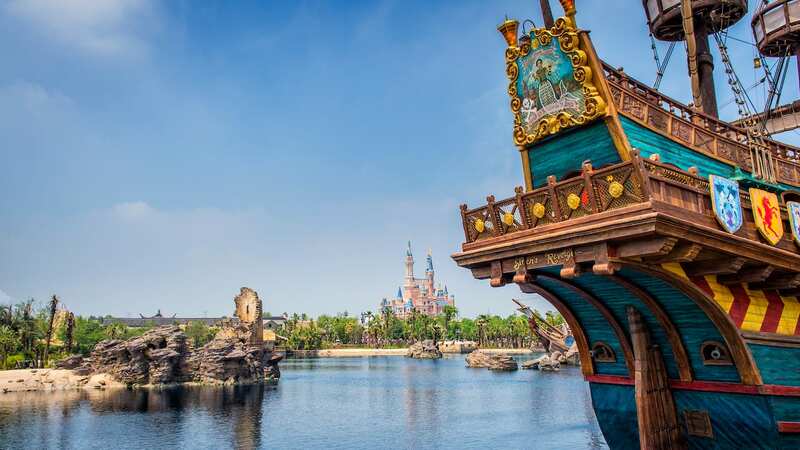 Or just Disneyland the whole day, there´s a lot to see and do and a few hours are not enough. If you have more days to spend in both parks, don’t buy ticket for that day, you can spend the morning at Downtown Disney and go to the park entrance at 3pm. When will the party plus tour tickets be out!?!?! Hi, I have bought tickets and never been here before and from Australia where Halloween isn’t very big. Do most people dress up for this event? And is entry at 3pm enough time or should we get a whole day Disneyland ticket? Thank you! Does my 1 year old need a ticket?? MELISSA: Hi, I had no problem at all, I accessed and bought and the process was silky smooth. Does anyone know if kids 3 and under free for this event as well? Thanks! Is anyone else having trouble accessing the link provided on here for general ticket sales? MARYSSA: It was mentioned on other comment that the sale starts at office hours. That would be sometime after 9 am (California time). It depends on the time it takes to get ready the webpage update. So be patient. Today is the 15th and I am wondering how non-passholders can buy their tickets. I have been to disneyland online/halloween to no advail. Is there a certian time that they will be on sale? MEGAN: The days of the party, you’ll have to leave the Park at 7pm. I’m sorry, I see now that the date differences is the difference between Disneyland and Disney World. My mistake! Would you still be able to help my understand what to expect if I’m there but not attending the party? I have regular park tickets for Sept. 8-13 and am not interested in attending the Not So Scary Halloween Party on this trip. Will parts of the park be off-limits to me during the party or will I need to leave when the party begins? According to the dates listed above, the party won’t affect my trip, but the Disney World page lists Sept. 10th and 13th as event nights. I’ve never been to Disney World during an event like this, so I’d appreciate the help in understanding how it will work. Thank you! I know the Visa customers get advance tickets, but do we also get a discount like the annual pass holders? We have not been to Disneyland for manay years and will be in town for a business trip. I am bringing the family and this would be an incredible event to go to now that our kids are older (early teen years). I had a question though about the time frame. Does anyone know if the tickets are only available for the hours of the party or if there is a little bit early of an entry with the party tickets. I would appreciate any thoughts out there. We are still going to stay other days at the park as well, but want to include this in the best way possible. Marcus – Mickeys Not-So-Scary Halloween Party is at DisneyWORLD, whereas Mickeys Halloween Party is at DisneyLAND, so different dates and information. Hope that helps! 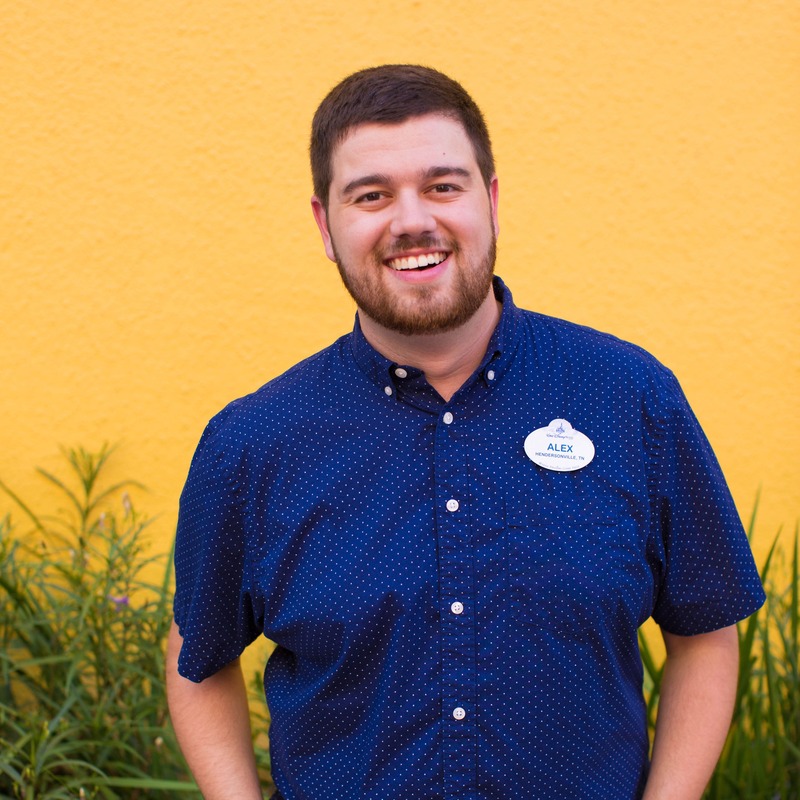 If you go to the Disneyland Annual Passholders Facebook page, there’s a link. That’s how I was able to get my tickets.